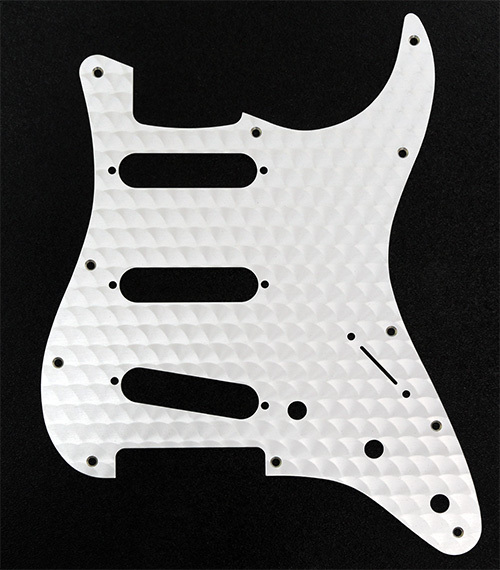 Genuine Fender® Stratocaster® engine turned aluminum clear, 1 ply, 11 hole pickguard for 3 single coil pickups. Approximately 0.050" in thickness. Does not have a beveled perimeter edge.